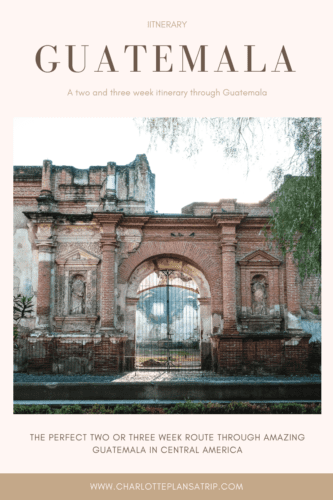 Itinerary: two or three weeks in Guatemala! Colonial cities, jungle and beautiful Mayan ruins, welcome to Guatemala, a beautiful country in Central America. Last year we made a trip through Guatemala and Belize. In total, we stayed for two weeks in Guatemala. 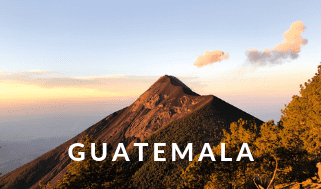 In this blog I will share our itinerary for Guatemala, I will give a possible three-week itinerary and I will tell you what we had done differently afterwards. Click here or on the image below to see the schedule and route of our 13 days in Guatemala. This schedule shows among other things our travel time, some accommodations we stayed in and what we paid for them. Except for the first nights in Antigua, we had not planned anything for this trip in advance. In total we had three weeks, how the distribution Guatemala Belize would be, was not fixed, but we knew that we wouldn’t stay for more than two weeks in Guatemala. Eventually, we stayed in Guatemala for 13 days and we were in Belize for 9 days. Guatemala is not a huge country, but in 13 days you certainly can not see everything. We, therefore, had to make some choices about which places to visit. 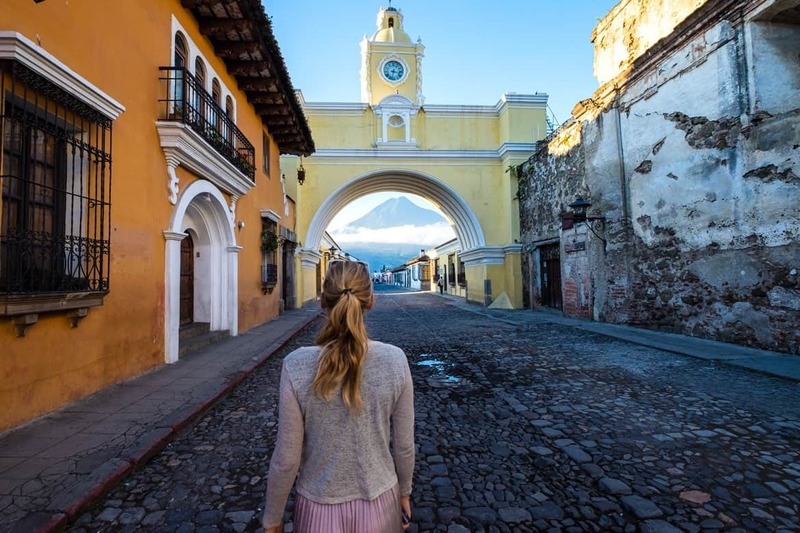 And making those choices already starts right when we enter the country: we skip Guatemala City but we go straight to Antigua which is just an hour away from the airport. Guatemala City isn’t that nice and it’s quite a dangerous city, while Antigua is a beautiful colonial city, absolutely worth it! 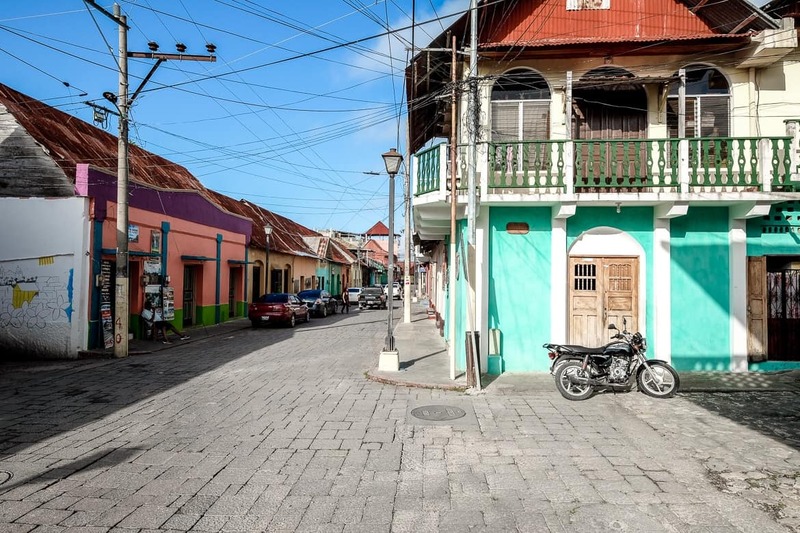 We sleep three nights in Antigua and have two full days to explore the city, to enjoy the beautiful buildings, nice atmosphere and the delicious food. We also make a trip to Hobbitenango. Are you also going to Antigua? 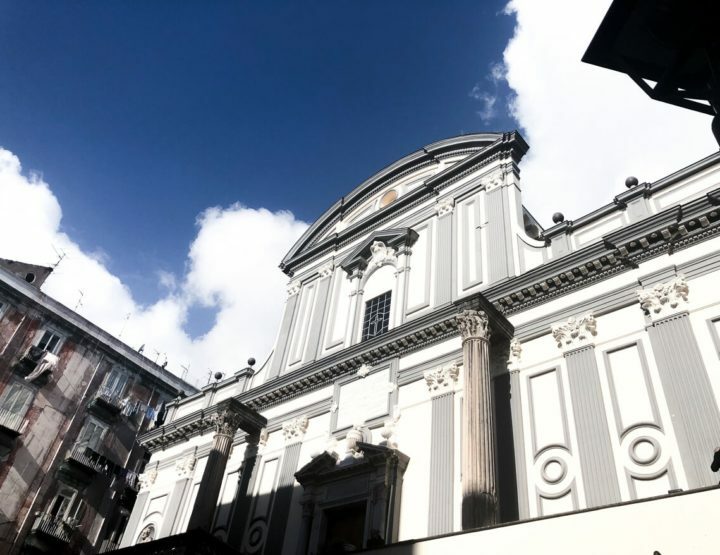 Here you can read my travel guide for this wonderful city. 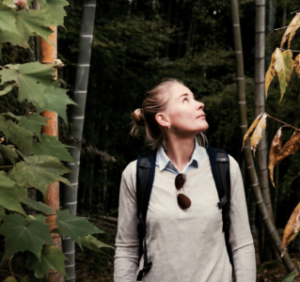 On the fourth day, we make a super cool hike to the volcano Acatenango, where we also spend the night. An unforgettable experience! Tired but satisfied we return to Antigua on day five where we take the bus to our next destination just a couple of hours later. 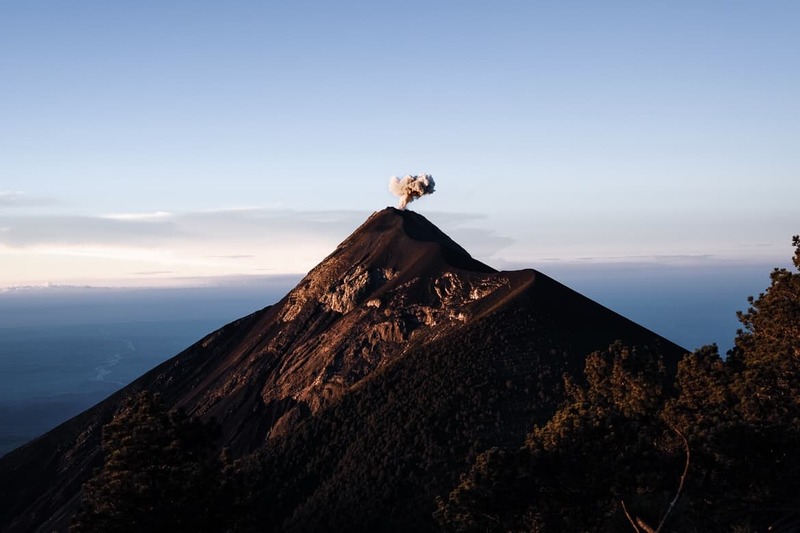 Here you can read more about our experience while climbing the volcano Acatenango and get practical tips about this hike. Tip: are you looking for affordable accommodation? Then consider the centrally located Lemon Tree hostel! We stayed in Casa Blomston, which was also nice. After a very long bus ride, which normally takes 3 hours but it takes us more than 6 hours (read all about it in this diary blog), we arrive late at night in San Pedro. San Pedro is one of the eleven villages on Lake Atitlan. It is too late to continue to our actual final destination, San Marcos, so we will go there tomorrow. The next morning, after a short walk, we conclude that San Pedro is not our thing and so we take the boat to San Marcos. This delightful hippy village is just a 20-minute boat ride across the beautiful Lake Atitlan and is an oasis of peace. Here we chill out two full days but believe me, that could easily have been seven. Are you also going to San Marcos? Then read my travel guide in advance about this nice place! 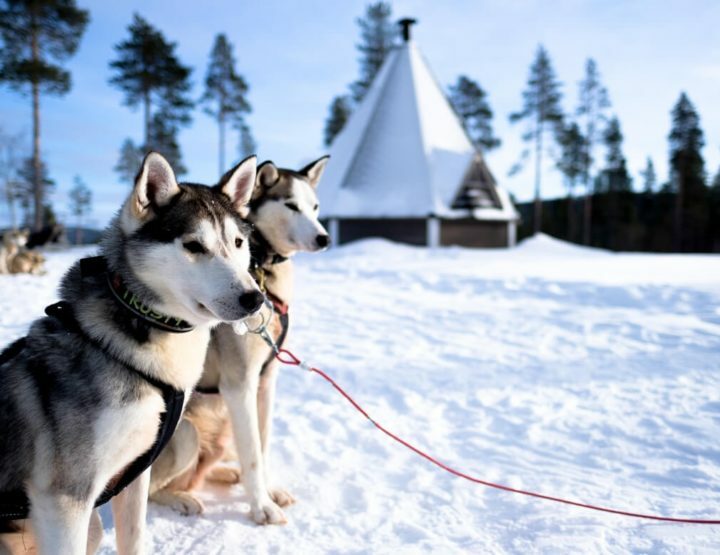 Tip: Fancy an active morning? Then make the hike to Indian Nose before dawn and see the sun rise over the lake from there. Truly magical! We slept in the nice hostel Casa Madera. Completely relaxed we travel on day 8 via the village of Panajachel further to Lanquin. This is a long travel day, first an hour by boat, then 10 hours by bus. We arriving in Lanquin around 8 PM. Lanquin is the village from where you can easily reach the Semuc Champey Natural Park. The next morning we visit this nature park where we do a cave tour, see the waterfalls and finally visit the famous green blue pools. Unfortunately, the weather is not so good and we find Semuc Champey is a bit disappointing. Here you can read why this was the case. Note: some travel companies advertise with a bus from Lake Atitlan to Lanquin departing at 14.00, but this is a scam and doesn’t exist! Don’t book that bus and just take the first bus from 09.00. After two nights it’s time to leave again. Lanquin is remote, to get here and to go from here to your next destination, you will need two travel days. We found Lanquin and Semuc Champey disappointing and didn’t have good weather. If we had stayed a day longer, the sun would have shine and maybe we would have appreciated Semuc Champey more. In addition, the distribution of travel days/activity days would have been better. 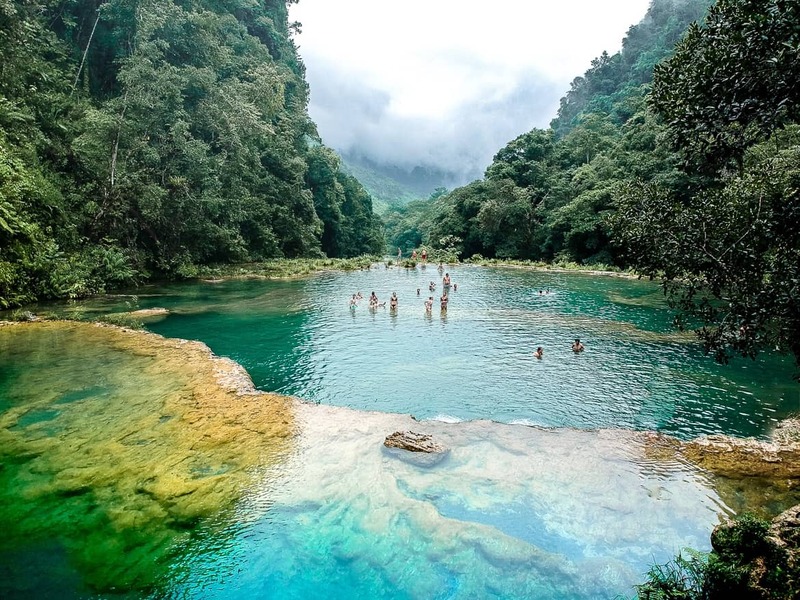 Tip: if you visit Lanquin and Semuc Champey, spend here at least two full days. 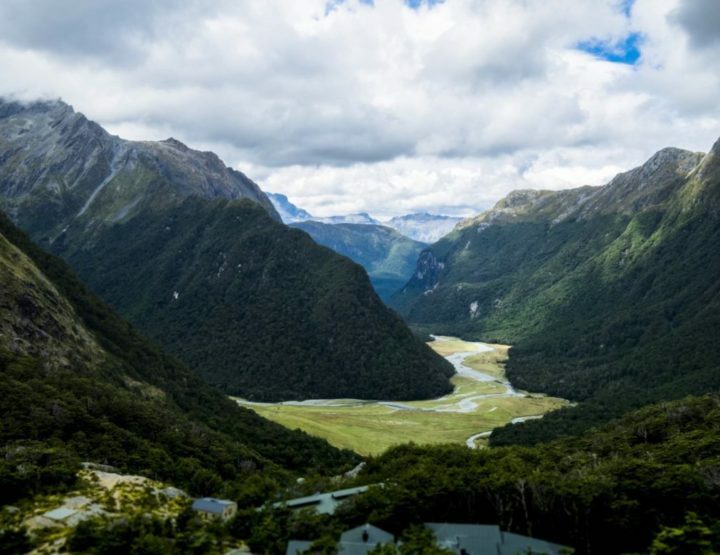 We slept in Zephyr River Lodge that was disappointing. 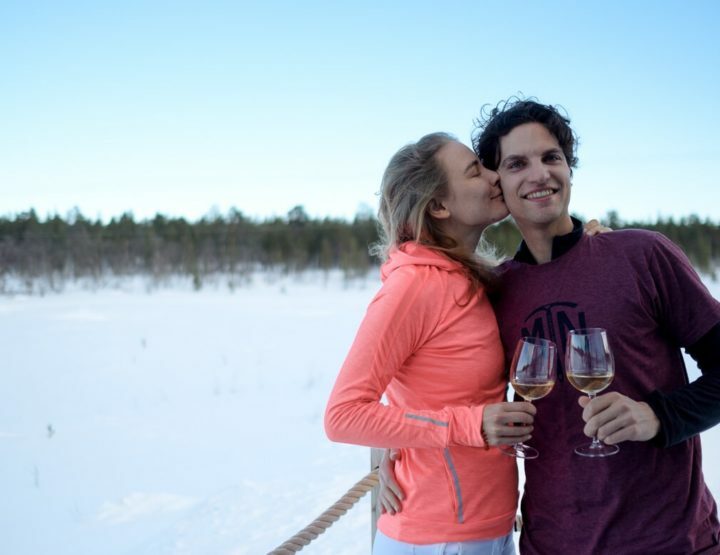 Travellers, we met, highly recommended Utopia Eco Hotel! Day ten consists entirely of travelling, we leave early in the morning from Lanquin and arrive in Flores at the end of the day. Flores is a cute city near the border with Belize. You will also find some Caribbean influence here, something that gives this small town a cool atmosphere. Flores lies partly on an island in the middle of a river and partly on the mainland. It is accessible via a long bridge and by speed boat. Flores is the perfect base for visiting Tikal, an ancient Maya village in the middle of the jungle. From Flores, it’s only an hour and a half by bus to reach Tikal. This is a tourist attraction, but because of the size of the area and because it is still relatively unknown (compared to the Mayan temples in Mexico) you will have the feeling of being the only one when you walk past the ruins. 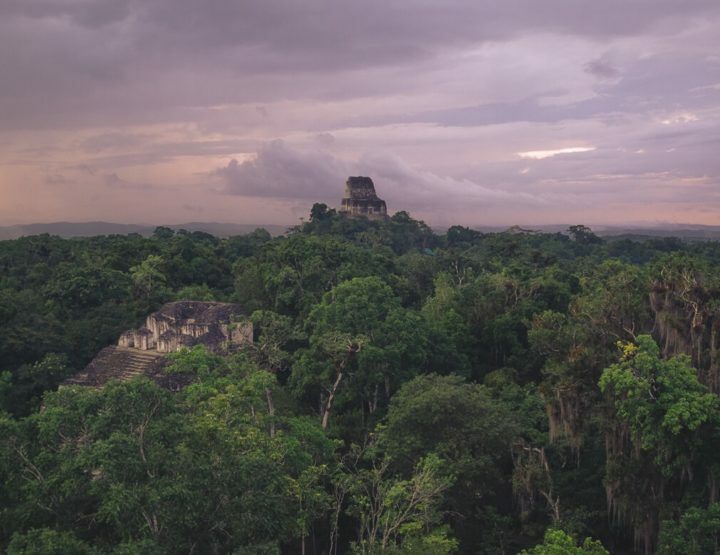 We decide to spend the night in Tikal, something that I can definitely recommend. 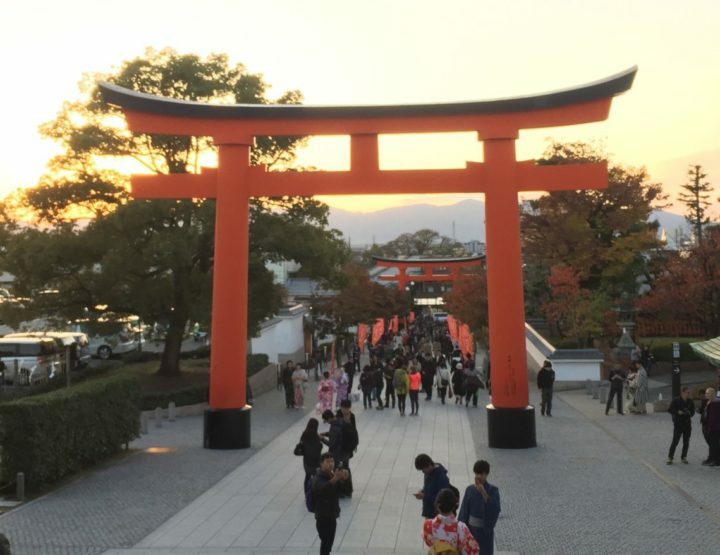 Unfortunately, I get sick and I have not been able to see many of the temples. Ries luckily did, so together we wrote a handy Tikal Travel Guide, in which among other things, we explain all about the complicated ticket system! After Tikal, we go back to Flores one last day, after which, on our last day, day 13, we take a bus to cross the border to Belize. Together with Rio Dulce, Flores is one of the logical border crossing points, perfect for going from Guatemala to Belize or vice versa. 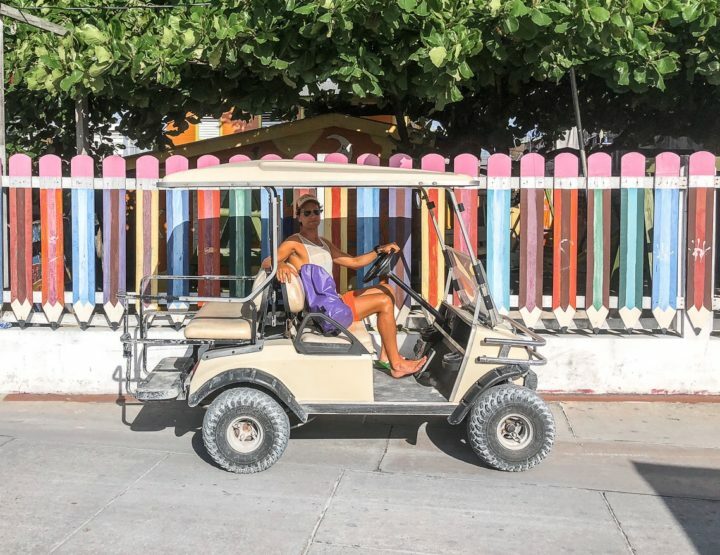 Curious about our time in Flores and Tikal? Then read my diary blog here. Tip: looking for a nice restaurant in Flores? La Casa de Enrico is really great! Unfortunately, that can not be said about restaurant San Telmo, where the reviews were full of praise, but where we found the food awful! Our first night, we stayed at Casa de Grethel, a great hostel but not on the island and therefore less practical. The second night in Flores we slept in Hotel Casa Amalia, which was okay. In Tikal, we slept in the beautiful Jungle Lodge Tikal Hostel, a bit expensive but definitely worth the money! Wondering how much money we spend in 13 days in Guatemala? Read our budget blog here: What did we spend in Guatemala? What would we do differently afterwards? Would we do things differently afterwards? 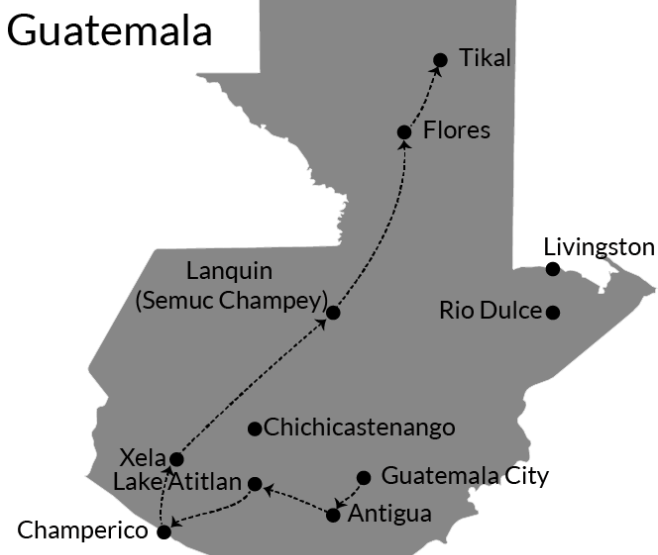 Yes and no … Our travel route for Guatemala (from Antigua clockwise to Flores eventually) was the most convenient for us. It is possible to fly certain parts (for example between Guatemala City and Flores) but we enjoyed travelling with vans to see more of the country. We had not changed anything about the order and our way of travelling. How much time do you spend Guatemala? 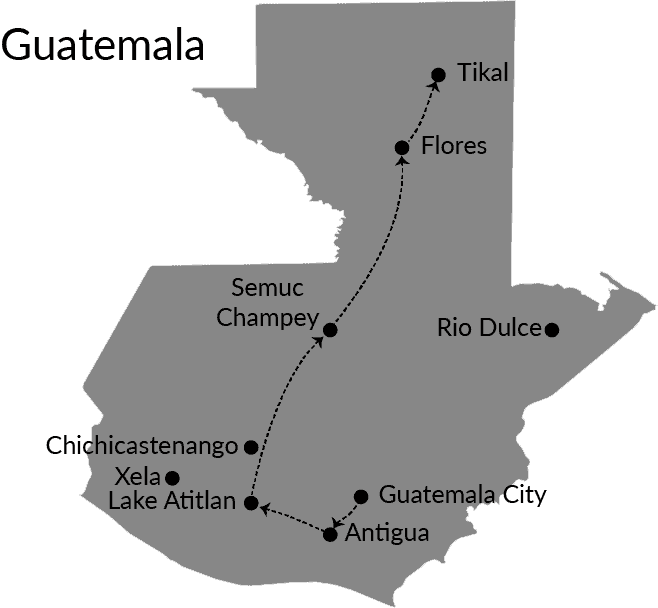 Click here or on the image below to see the three-week Guatemala travel route. Antigua: Three nights and two full days were enough, but now with more space, I would stay here for a day longer. 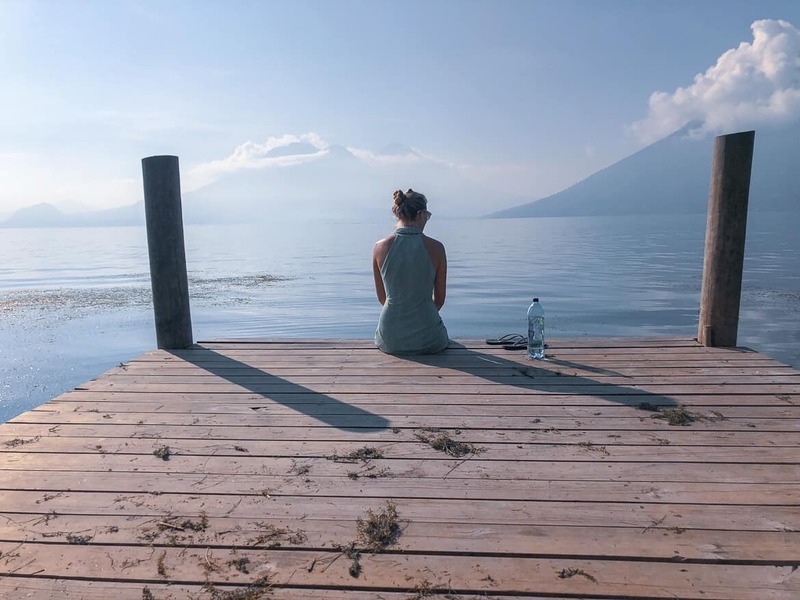 Lake Atitlan: It is so nice here, that we would stay here longer and take the time to relax and see several villages with as a home base, San Marcos. Ideally, we will stay here for a minimum of four nights. Champerico (beach): With more time I would like to go to the surf village of Champerico on the Pacific Ocean. Champerico is not touristy, unlike, for example, Monterrico. There are mostly surfers here. You reach Champerico by bus from Lake Atitlan in about four hours. A day or three would be enough here. Xela: Xela, or according to its official name Quetzaltenango, is the place to learn Spanish. It seems to be a cosy city, surrounded by beautiful nature. One of the highlights: Tajumulco, with 4220 meters the highest mountain (volcano) of Central America. A hike to the top of Tajumulco seems to be challenging and pretty cold. But the views must be beautiful. We would stay here for two days as a transfer between Champerico and Lanquin. We would have to skip a trip to Tajumulco. Lanquin / Semuc Champey: Here too we would stay longer, but three nights are enough. Had we skipped Semuc Champey afterwards? No, it is very logical on the route and because we like to go from Lake Atitlan to Flores, a stop in Lanquin (and therefore Semuc Champey) is very logical. What beautiful places do you find more in Guatemala? Besides the above destinations, there are of course many more beautiful places in Guatemala that are worth a visit. Below is a small selection. 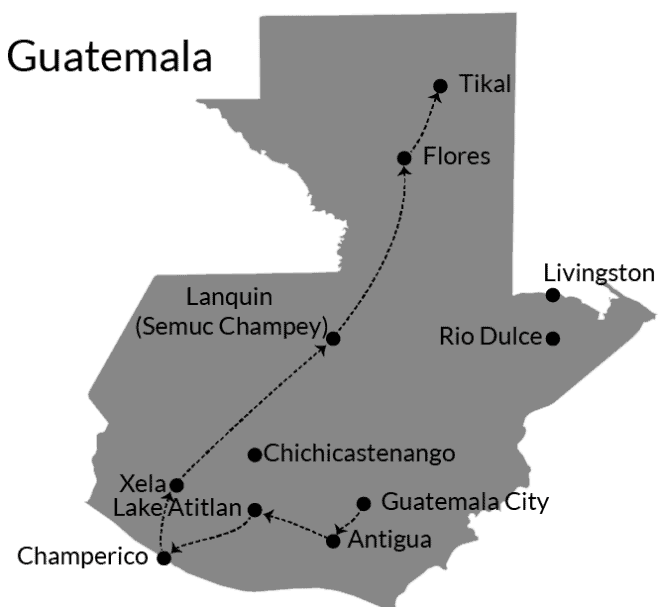 Rio Dulce and Livingston are located in the southeast of Guatemala. Livingston is a fishing village on the Caribbean Sea. The village is known for the Caribbean atmosphere, but the beaches themselves are not that special. You can reach Livingston via a boat trip on the Rio Dulce river from the city of Rio Dulce. Nice to do, since you will sail right through the jungle. For us, it was not logical to make a trip to Rio Dulce and Livingston because it was completely off route. From Livingston, you can also easily cross the border to Belize. Chichicastenango (yes, try to pronounce that name three times in a row) is an authentic Maya village not far from Lake Atitlan. It is known for the market every Thursday and Sunday and for the white church here, the Iglesia de Santo Tomas. Chichicastenango has become a bit of a tourist attraction. 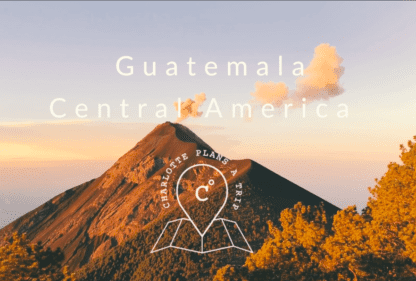 All my other blogs about Guatemala. 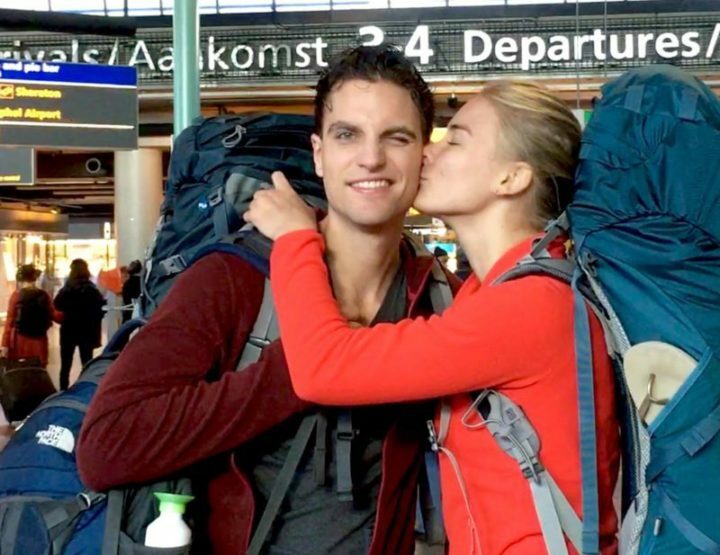 Video: backpacking through the beautiful country Guatemala! 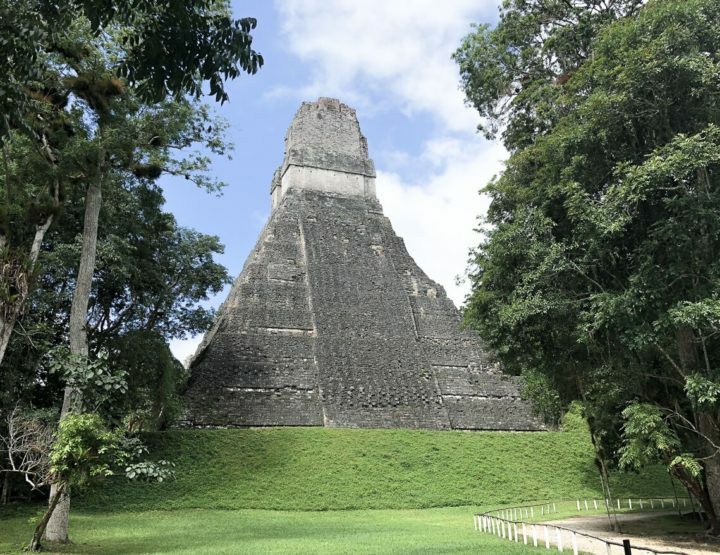 Travel guide: Everything you need to know before visiting Tikal! Charlotte, will you marry me?